Learned disuse of the affected limb can lead to weight-bearing asymmetries in patients with stroke-related hemiparesis. Compelled body-weight shift therapy, using shoe inserts to force loading of the affected limb, can help patients achieve a more symmetrical gait. Following a stroke, a person may be initially unable or reluctant to bear weight through the affected limb due to significant paresis. Later, continued weight-bearing asymmetry may remain and foster further disuse, despite the probability that motor function in the affected lower limb has improved. Such a learned disuse of the affected limb could contribute to the lack of progress in recovery that is seen in some individuals after stroke. Table 1. Changes in the weight bearing on the affected side with provision of the lift under the nonaffected side. Another technique, the Lokomat, a motor-driven exoskeleton device attached to the lower limbs, employs a body-weight support suspension system and treadmill. 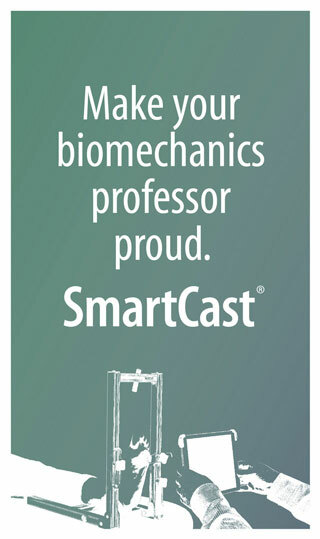 The Lokomat moves the patient’s legs through position-controlled trajectories that mimic normal human gait patterns. This is accomplished using high-quality computer-controlled motors that are precisely synchronized with the speed of the treadmill.13,14 Results from several studies support the use Lokomat therapy as a promising intervention for gait rehabilitation.15-17 Both the Lokomat and treadmill training with BWS, however, are associated with a high equipment cost. Recently, this author’s group in the Department of Physical Therapy at the University of Illinois at Chicago developed a new low-cost rehabilitation approach, compelled body-weight shift (CBWS) therapy.9 The CBWS approach involves lifting the unaffected lower extremity through the use of a shoe insert (Figure 1), which forces loading of the affected limb during treatment and daily activities, thus helping to overcome any learned disuse of the affected limb. 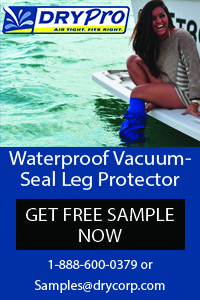 A series of studies demonstrated the efficacy of this new rehabilitation intervention in resolving the learned disuse of the affected limb. Figure 1. 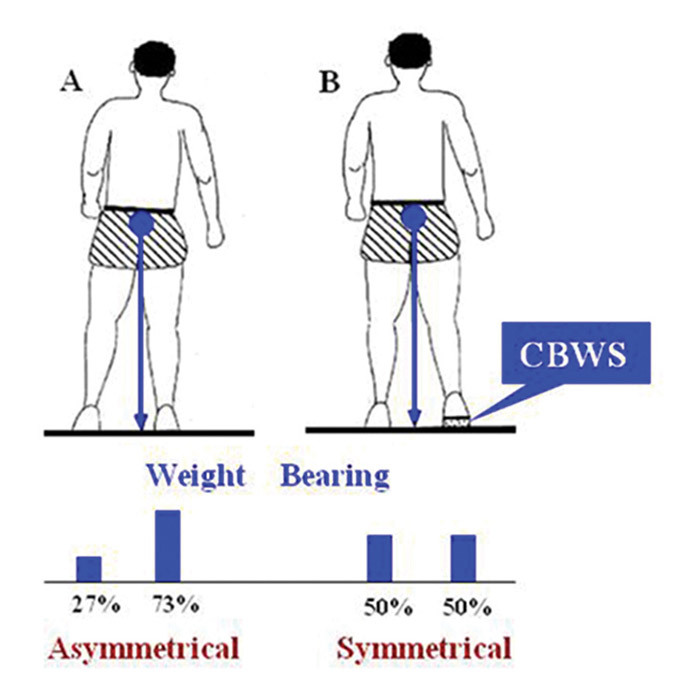 Schematic representation of a stroke- related asymmetry of stance and weight bearing in a person with right hemiplegia (A) and the role of the compelled body-weight shift (CBWS) approach in restoring symmetry (B). Note that the shoe lift shifts the center of gravity to the midline. Weight bearing is reported as percentage of the total body weight. We conducted two studies to evaluate whether a CBWS approach produces immediate and long-lasting functional improvements in individuals with acute and chronic stroke. In the first study, we randomly assigned 11 patients with acute stroke (mean time from event, 14.7 ± 3.2 days) who showed asymmetrical stance to experimental or control groups. The experimental group received two weeks of conventional physical therapy combined with CBWS (a .6-cm high full-length insole worn on the unaffected side during in-patient physical therapy sessions). The control group received two weeks of conventional therapy with conventional footwear. In this study we altered the intervention, changing from the external shoe lift used in our earlier studies to an in-shoe device that forces loading of the affected limb and allows active participation in physical therapy. Figure 2. Weight bearing on the affected side before and after treatment (A). Gait velocity before and after treatment (B). Weight bearing, gait velocity, Berg Balance Test, and Fugl-Meyer Assessment scores were recorded before and after the intervention.19 For both groups, physical therapy involved 90-minute sessions, six sessions a week, for two consecutive weeks. Physical therapy included therapeutic exercises involving active and active-assisted range of motion training; resistive exercises with resistance bands, weights, or both; motor retraining activities; gait training (i.e., walking over ground or on a treadmill, body-weight support treadmill training, walking on indoor and outdoor surfaces, and stair training); and functional performance training such as sit-to-stand maneuvers at varied heights and bed mobility exercises. At baseline, both groups had similar levels of asymmetry, with the involved limb bearing about 30% of body weight. After the intervention, weight bearing on the affected side increased in the experimental group and de- creased in the control group (Figure 2). Berg Balance and Fugl-Meyer scores increased for both groups; however, the individuals in the experimental group showed larger improvements on both the measures than the control group. Similarly, the increase in gait velocity associated with treatment was significant in both groups (p < .05), but the experimental group dem­on­­strated larger improvements in gait velocity than the control group. Figure 3. Weight bearing on the affected side before and after treatment and during the retention test (A). Gait velocity before and after treatment and during the retention test (B). It is important to note the improvement of gait velocity was achieved in parallel with the improvement in weight-bearing symmetry. 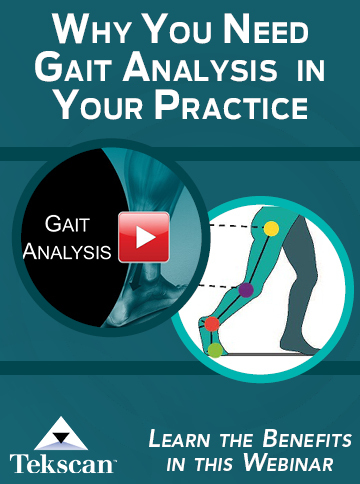 This result is in contrast with a previous study by Winstein et al that assessed the effect of standing balance training with a feedback device that provided visual information about relative weight distribution over the paretic and nonparetic limb; they found no difference in improvement of walking function between those who did the feedback training and those who did conventional physical therapy.20 The improvement in gait velocity in the current study could be associated with the fact that weight-bearing symmetry was achieved by providing a shoe lift during all aspects of treatment that involved ambulation. In contrast to the Winstein et al study, which used static standing balance training with visual feedback as an intervention, the shoe lift in our study was used in dynamic activities. Such a combination of interventions (overground gait and a compelled shift of the body weight) had a positive effect on the ability of patients to overcome—or prevent development of—a learned disuse of the affected leg. In the second study,21 18 individuals with chronic unilateral stroke (mean time since stroke, 6.7 ± 3.9 years) who showed asymmetrical stance were randomly divided into two groups. The experimental group received six weeks of physical therapy combined with CBWS therapy, and the control group received physical therapy only. Both groups underwent a battery of identical tests (weight-bearing symmetry, gait velocity, Fugl-Meyer Assessment, and Berg Balance Scale) before the start of the rehabilitation intervention, following its completion, and three months after the end of therapy. Participants in the experimental group were provided with the .6-cm high full-length insoles. No shoe lift was provided to participants in the control group. To achieve a compelled body weight shift toward the affected side, each participant in the experimental group wore the shoe with the insole on the unaffected lower extremity during all daily activities throughout the duration of the training program. The shoe lift was removed after the end of training. Participants in both groups received six weeks of physical therapy, including one supervised 60-minute session per week and instructions to perform exercises at home for 60 minutes per day. The treatment focused on facilitating muscle strength, symmetrical weight bearing, and balance. Muscle-strengthening activities included progressive resistance exercises with resistive bands and a recumbent stepper exercise machine. Weight-bearing exercises involved a bathroom scale and were performed with the individual standing with the affected leg on the platform of the scale while the unaffected leg was on an adjacent wooden block with the same dimensions as the scale. The bathroom scale and a mirror were used to provide feedback to patients on weight bearing and posture, respectively. In addition, patients practiced sit-to-stand and stand-to-sit maneuvers with emphasis on symmetrical weight bearing. Balance exercises included weight shifts on the affected side and pregait activities such as stepping forward, stepping sideways, and stepping on a stool. 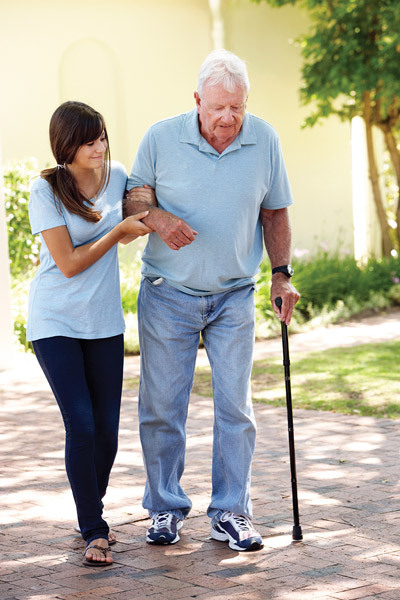 Gait activities involved overground walking using the patient’s own assistive device. Patients and caregivers were trained to perform these exercises at home and provided with written instructions, and all patients had a bathroom scale and a mirror at home. Patients were required to keep a time log of their daily home exercise activity. All participants demonstrated asymmetrical weight bearing at the time of the first test. After the intervention, weight bearing on the affected side had increased compared with baseline measures in both groups. However, weight bearing on the affected side improved to a larger degree in the experimental group than the control group (9.7% vs 6.4%) (Figure 3). Before the start of the treatment, individuals in the experimental group and those in the control group demonstrated similar gait velocity (After the intervention, gait velocity in the experimental group gait increased 10.5% more than in the control, which showed no improvement. [p = .7]). The results of the third test, three months after the end of training, revealed that gait velocity continued to increase in the experimental group but decreased in the control group. This result contrasts with the previously published data on the lack of improvement of walking function after the four-week retraining of symmetrical weight bearing using a feedback device.20 Our approach was different in that compelled weight bearing was achieved during the entire six-week intervention period and during all daily activities, including ambulation. The clinically observed improvement in gait velocity suggests the compelled shift of body weight had a positive effect on the ability of the patient to overcome the learned disuse of the affected leg. Small improvements in the Berg Balance and Fugl-Meyer scores were seen in both groups, however, the effect of CBWS treatment was not statistically significant. Moreover, neither group met the clinically important difference for the scores. A possible explanation for this lack of an effect on motor recovery and balance clinical test scores relates to the fact that all study participants were in the chronic stage; the mean time from stroke onset was about six years. Previous findings suggest that patients who are more than 12 months poststroke do not show improvement in motor recovery.22 Moreover, findings from the Copenhagen Stroke Study suggest that motor recovery should not be expected more than five months after insult.23 Other studies support the conclusion that motor recovery should not be expected more than six to 12 months after injury.24 In our study, improvements in weight-bearing symmetry and gait stem from the use of shoe lifts during all daily activities, resulting in translation of improvements in weight bearing into improvements in gait velocity. 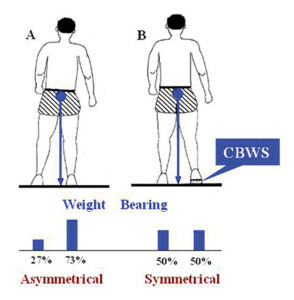 The results of several of our studies show that implementation of CBWS therapy resulted in the immediate and long-lasting improvement of weight-bearing symmetry and gait velocity in individuals with stroke. The achieved improvement was still present in individuals with chronic stroke three months after treatment. These findings support the use of the CBWS technique to facilitate rehabilitation of individuals with acute and chronic stroke. Alexander S. Aruin, PhD, is a professor in the Department of Physical Therapy at the University of Illinois at Chicago. 1. Kelly-Hayes M, Robertson JT, Broderick JP, et al. The American Heart Association Stroke Outcome Classification. Stroke 1998;29:1274-1280. 2. Bohannon RW, Larkin PA. Lower extremity weight bearing under various standing conditions in independently ambulatory patients with hemiparesis. Physical Ther 1985;65(9):1323-1325. 3. Eng JJ, Chu KS. Reliability and comparison of weight-bearing ability during standing tasks for individuals with chronic stroke. Arch Phys Med Rehabil 2002;83(8):1138-1144. 4. Rodriguez GM, Aruin AS. The effect of shoe wedges and lifts on symmetry of stance and weight bearing in hemiparetic individuals. Arch Phys Med Rehabil 2002;83(4):478-482. 5. Tessem S, Hagstrøm N, Fallang B. Weight distribution in standing and sitting positions, and weight transfer during reaching tasks, in seated stroke subjects and healthy subjects. Physiother Res Int 2007;12(2):82-94. 6. Genthon N, Gissot AS, Froger J, et al. Posturography in patients with stroke: estimating the percentage of body weight on each foot from a single force platform. Stroke 2008;39(2):489. 7. Cheng PT, Liaw MY, Wong MK, et al. The sit-to-stand movement in stroke patients and its correlation with falling. Arch Phys Med Rehabil 1998;79(9):1043-1046. 8. Sackley CM. Falls, sway, and symmetry of weight-bearing after stroke. International Disabil Stud 1991;13(1):1-4. 9. Aruin AS, Hanke T, Chaudhuri G, et al. Compelled weightbearing in persons with hemiparesis following stroke: the effect of a lift insert and goal-directed balance exercise. J Rehabil Res Dev 2000;37(1):65-72. 10. Hesse S, Werner C. Partial body weight supported treadmill training for gait recovery following stroke. Adv Neurol 2003;92:423-428. 11. Hesse S, Werner C, von Frankenberg S, Bardeleben A. Treadmill training with partial body weight support after stroke. Phys Med Rehabil Clin N Am 2003;14(1 Suppl):S111-S123. 12. Hesse S, Bertelt C, Jahnke MT, et al. Treadmill training with partial body weight support compared with physiotherapy in nonambulatory hemiparetic patients. Stroke 1995;26:976-981. 13. Colombo G, Joerg M, Schreier R, Dietz V. Treadmill training of paraplegic patients using a robotic orthosis. J Rehabil Res Dev 2000;37(6):693-700. 14. Colombo G, Wirz M, Dietz V. Driven gait orthosis for improvement of locomotor training in paraplegic patients. Spinal Cord 2001;39(5):252-255. 15. Husemann B, Müller F, Krewer C, et al. Effects of locomotion training with assistance of a robot-driven gait orthosis in hemiparetic patients after stroke: a randomized controlled pilot study. Stroke 2007;38(2):349-354. 16. Krishnan C, Ranganathan R, Kantak SS, et al. Active robotic training improves locomotor function in a stroke survivor. J Neuroeng Rehabil 2012;9:57. 17. Mehrholz J, Werner C, Kugler J, Pohl M. Electromechanical-assisted training for walking after stroke. Cochrane Database System Rev 2007;(4):CD006185. 18. Chaudhuri S, Aruin AS. The effect of shoe lifts on static and dynamic postural control in individuals with hemiparesis. Arch Phys Med Rehabil 2000;81(11):1498-1503. 19. Mohapatra S, Eviota A, Ringquist K, et al. Compelled body weight shift technique to facilitate rehabilitation of individuals with acute stroke. ISRN Rehabil 2012; Article ID 328018. 20. Winstein CJ, Gardner ER, McNeal DR, et al. Standing balance training: effect on balance and locomotion in hemiparetic adults. Arch Phys Med Rehabil 1989;70(10):755-762. 21. Aruin AS, Rao N, Sharma A, Chaudhuri G. Compelled body-weight shift approach in rehabilitation of individuals with chronic stroke. Top Stroke Rehabil 2012;19(6):556-563. 22. Newman M. The process of recovery after hemiplegia. Stroke 1972;3(6):702-710. 23. Jørgensen HS, Nakayama H, Raaschou HO, et al. Outcome and time course of recovery in stroke. Part II: Time course of recovery. The Copenhagen Stroke Study. Arch Phys Med Rehabil 1995;76(5):406-412. 24. Page SJ, Gater DR, Bach-Y-Rita P. Reconsidering the motor recovery plateau in stroke rehabilitation. Arch Phys Med Rehabil 2004;85(8):1377-1381.
hello i want to know more about the lift inserts in hemiparesis and gait cycle.